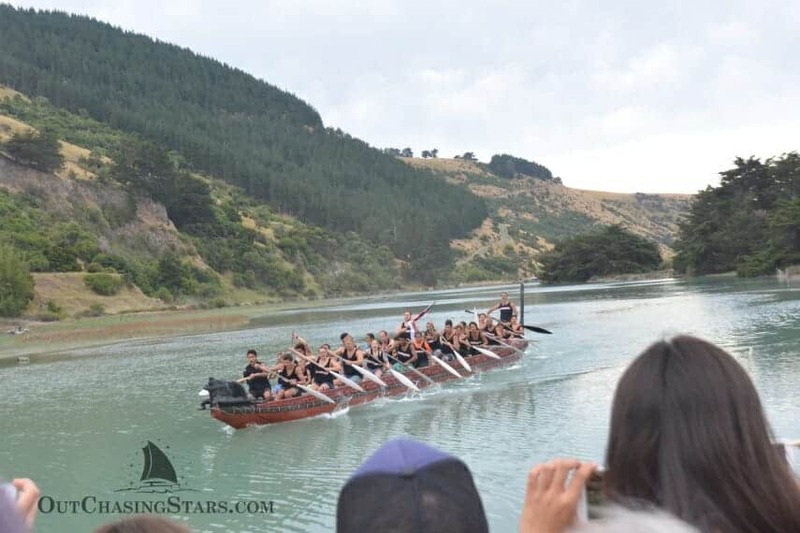 We were excited to get to spend Waitangi Day in New Zealand and see a celebration while traveling around. 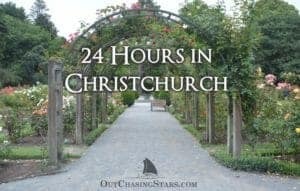 We attended the largest celebration in the South Island, held outside of Christchurch in Okains Bay at the Maori and Colonial Museum. Unfortunately, we were pretty underwhelmed with the events. There were so many people for a small space, that I often couldn’t see any of the activities going on. 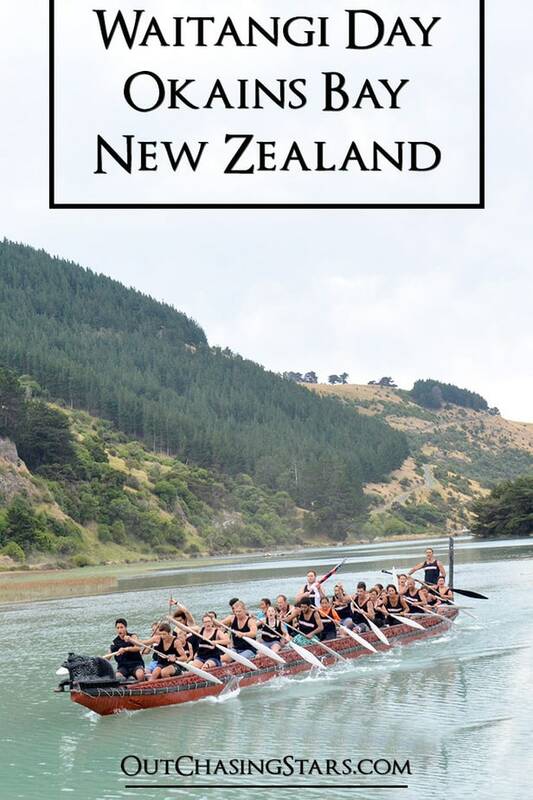 Waitangi Day is an equivalent of Independence Day in the US. 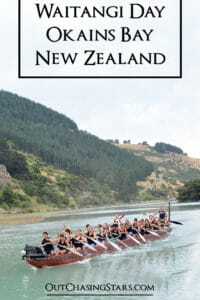 On February 6th, 1840, the Treaty of Waitangi was signed by British Crown representatives and about 45 Māori chiefs. The treaty was signed in Waitangi in the Bay of Islands, which we visited a few months after Waitangi Day. 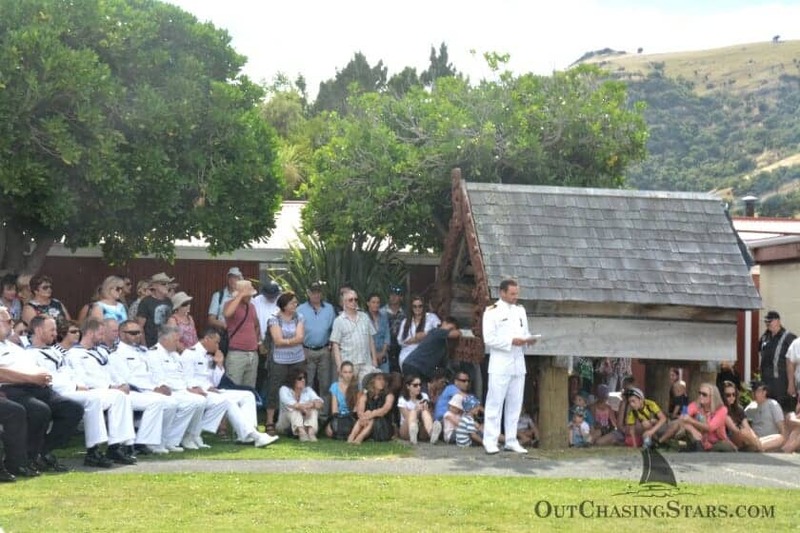 First, we watched the opening ceremonies, where representatives from the New Zealand Navy gave a speech to the Māori representatives in attendance. 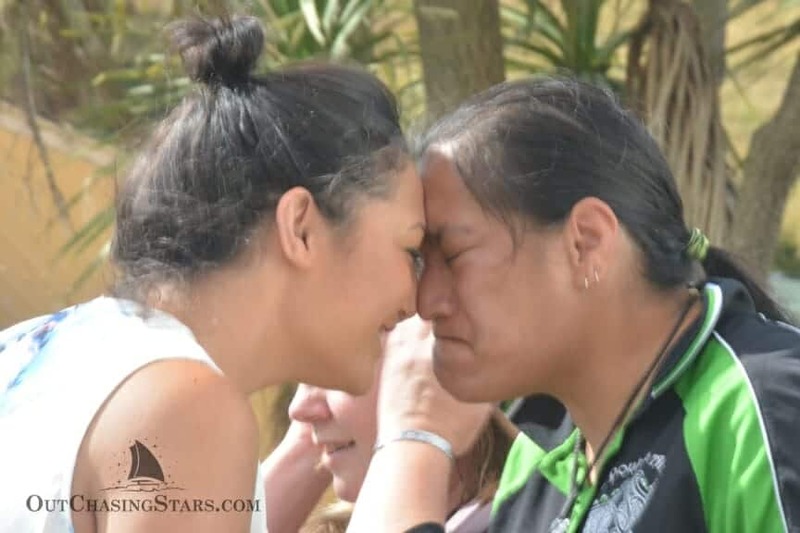 Then, they greeted each other with hongi, a traditional Māori greeting where the two persons press their foreheads and noses together. We wandered around the museum, learning about the colonization of Okains Bay – there were A LOT of artifacts. There were also booths of vendors selling goods like jade necklaces and fudge. 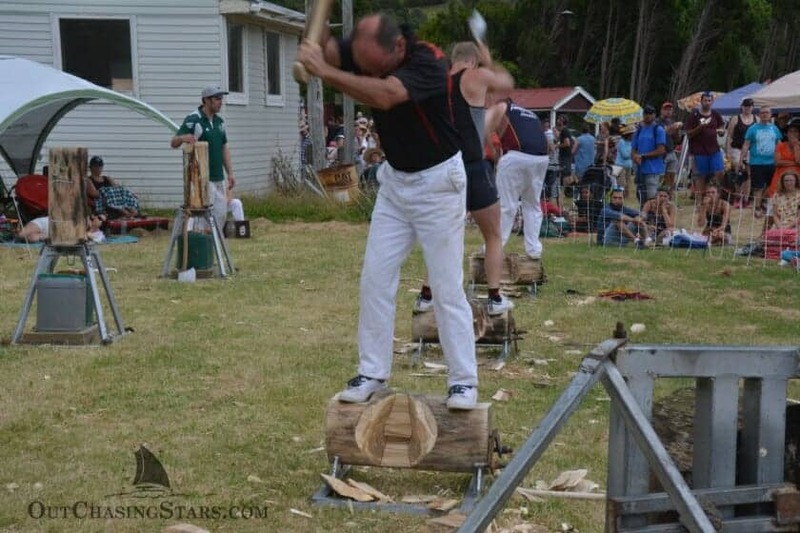 There was a 100-year-old steam engine running, plus a wood cutting competition. 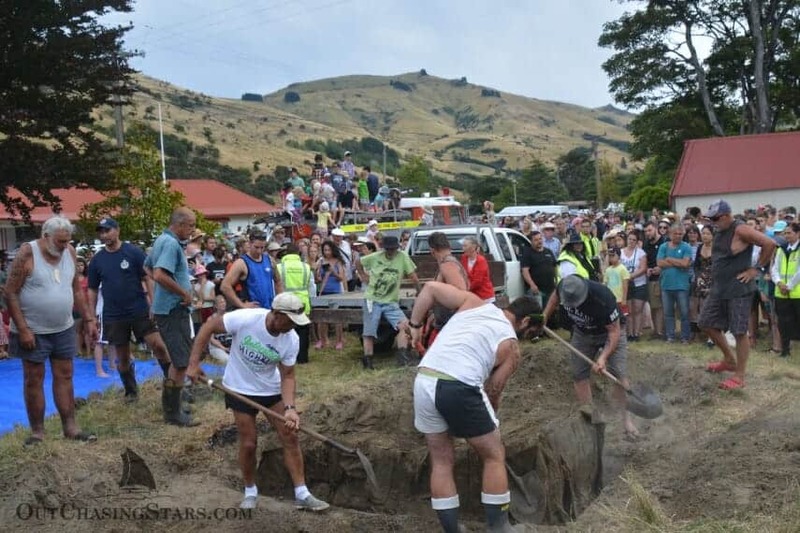 We tried to view the lifting of the hāngī (food buried underground with hot stones to cook it) and the waka paddling, but the crowds were too big to really see anything. I was able to get a couple of photos by holding my camera up. 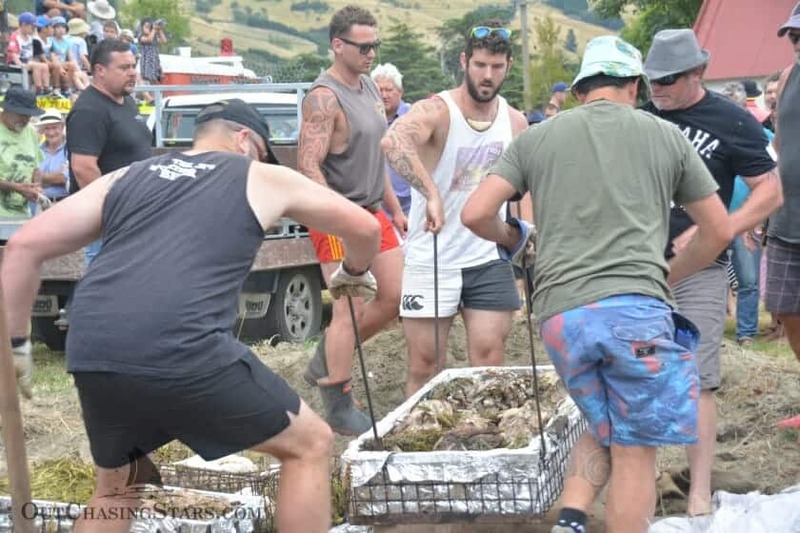 Unfortunately, we waited an hour in line for the hāngī and when we got to the food they were out of forks and the vegetables. Our plate was mostly meat (pork and beef) with a small, undercooked potato. The event was really cheap – $10 per person for entrance and another $10 for the meal. I would have gladly paid more money for a better experience. Since we didn’t get the cultural experience I wanted, we visited the Waitangi Treaty Grounds in the Bay of Islands.